Living in remote Alaska for the last 40 years did not help when it came time to camp surrounded by the largest RV show on earth. 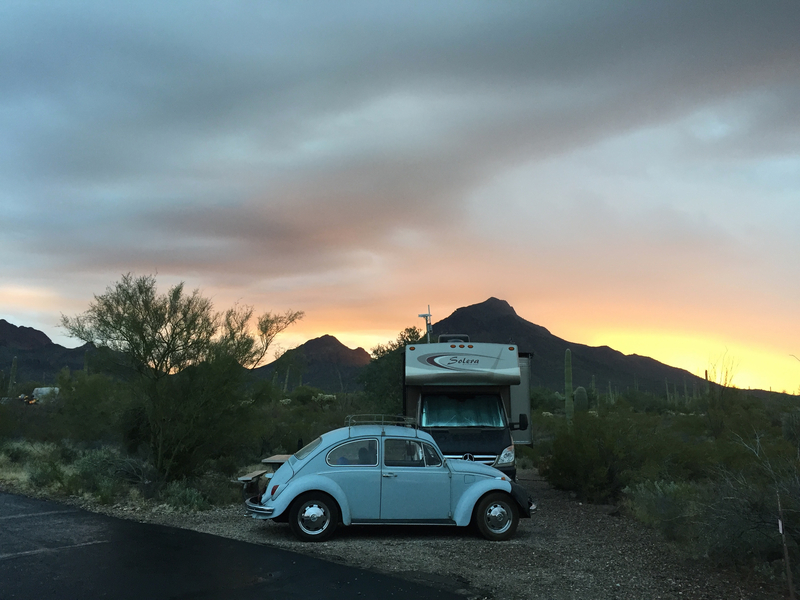 After attending the “Buses by the Bridge” VW event at Lake Havasu we drove due south to Quartzsite Arizona to experience this event first hand. Miles before we reached the center of town we saw hundreds of motorhomes parked out on the open desert. Sizes ranged from the largest motor coaches allowed on the road to pop-up tent trailers. This was definitely a gathering of all the tribes. What started out 39 years ago as a rock and gem “pow wow” is now the largest gathering of RV’ers on earth. We decided to park as near the big tent as possible to eliminate the hassles of having to drive and find a parking place every day. This worked well. The opposite side effect of this concept was that we were completly surrounded by mass humanity. Our main reasons to attend this event was to experience it first hand, do some minor repairs and updates to the coach, shop for all the latest RV goodies and meet other like minded RV folks. We succeeded on all accounts. 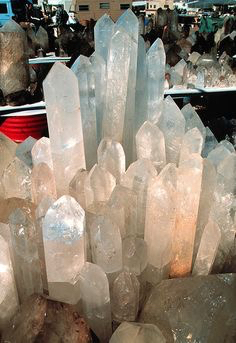 After three days of walking through most of the aisles and finding everything from huge purple geodes, monster $38,000 crystals, some very cool antiques, tool vendors, ATV sales, new RV’s and every new accessory you could possible want for your RV. 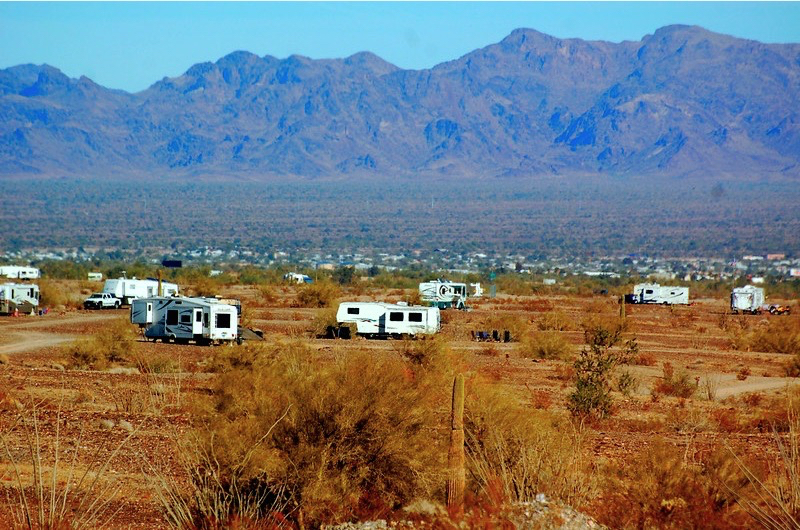 Quartzsite is a one of a kind experience and is very similar to combining a state fair, an extra large swap meet, a rock and gem show, a new RV expo and dozens of food vendors all into one event. There is something here for everyone. The average age group must be at least 65 with dozens of motorized scooters plying the aisles of the big tent. We met lots of very different and very nice people. In a short time we reached sensory overload and it was time to go. 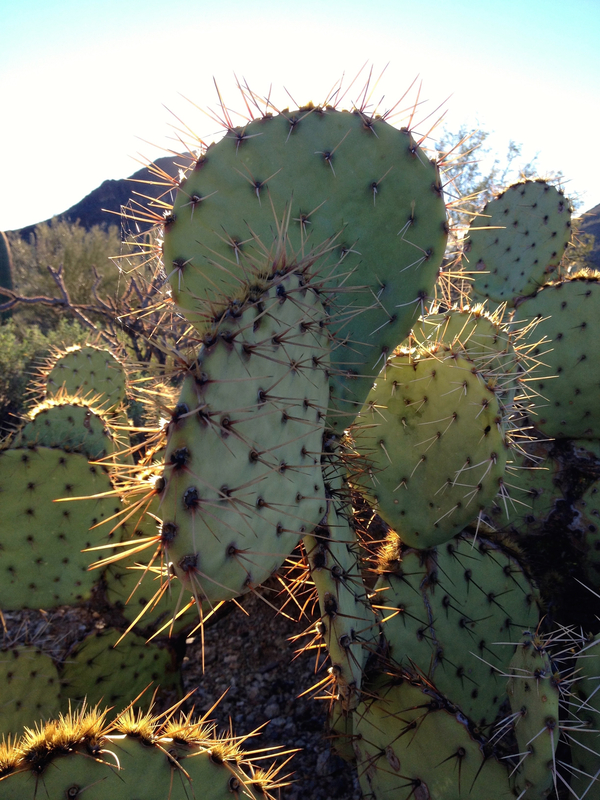 Leaving Quartzsite we drove south east towards Saguaro National Monument and Tucson Mt. Park. This drive took us from the raw flat sparsely covered desert surrounding Quartzsite to some of the most heavily vegitated deserts we have ever seen. 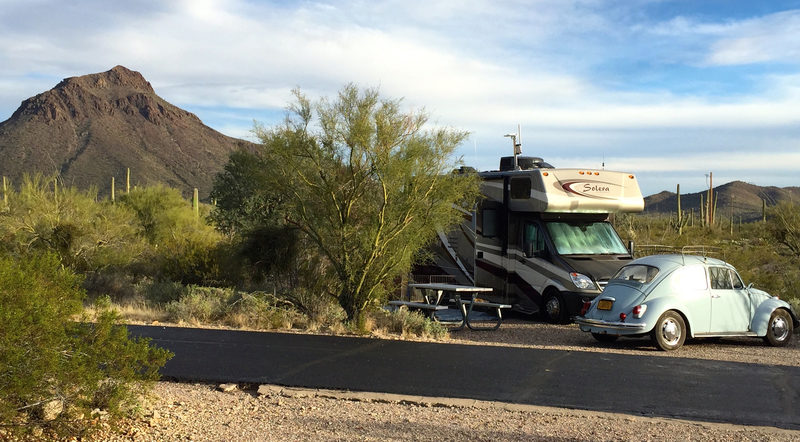 After cruising through Saguaro National Monument we ended up camping just south of the park in the beautiful Gilbert Ray campground. It is located within Tucson Mt. Park just west of Tucson. The campground has 30 amp power but no other hookups and is meticulously maintained by several very friendly camp hosts. Tucson Mt. park is also home to the Old Tucson Movie Studios where over 300 westerns were filmed. John Wayne spent a lot a time here. 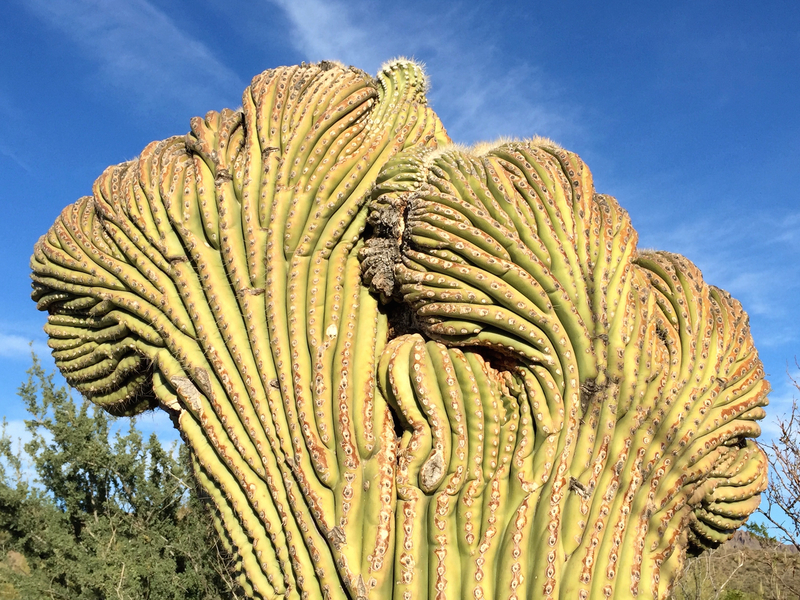 This park is full of some of the most beautiful, vibrant and dangerous cacti found in the west. 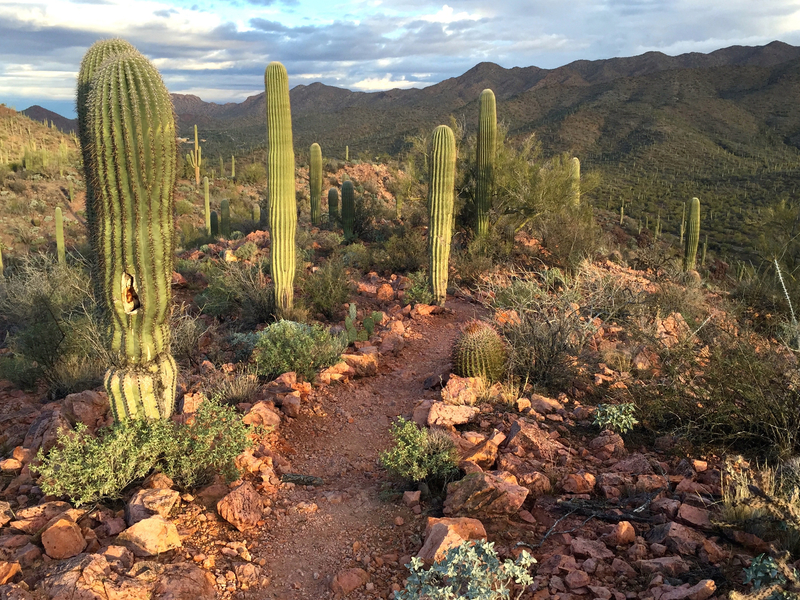 There is a great trail system but you must be very careful not to come in contact with the vegetation. 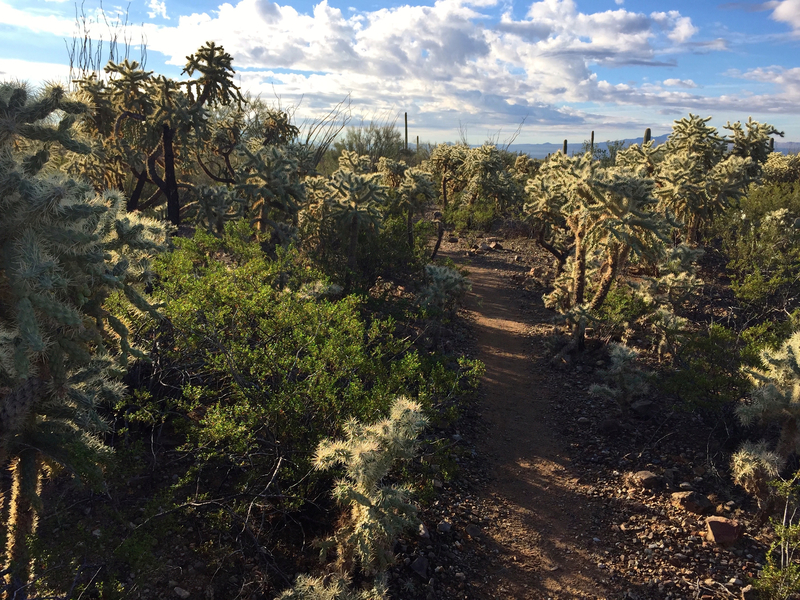 In some places it is so dense and prickly you have to turn sideways on the trails to safely pass. Trail to the Top of Brown Mt. The only draw back to this place is that it is not very dog friendly. The poor pups couldn’t leave the pavement for fear of being impailed by cacti. LuLu got a piece of jumping cholla stuck in her paw and she was not very happy. We spent several days here before we decided to head west again to a more open desert setting. 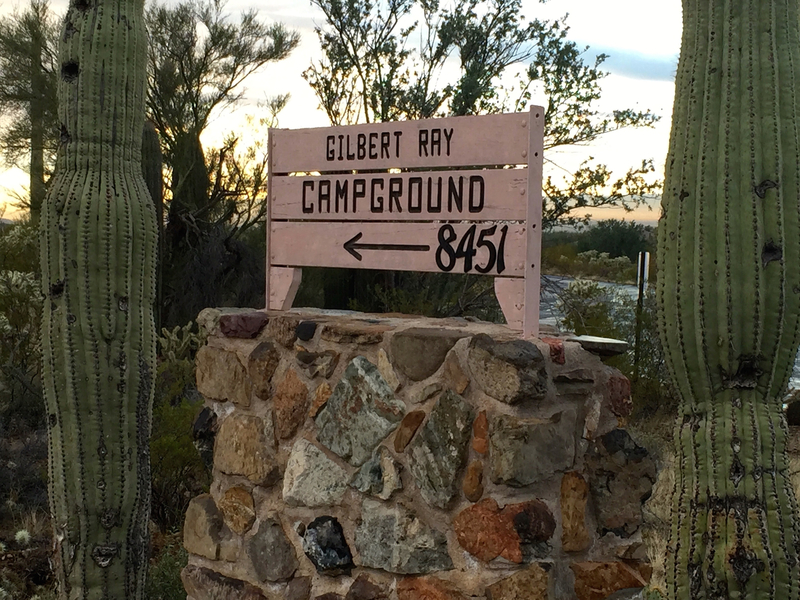 We sure enjoyed the landscape while we were here and highly recommend a stay at Gilbert Ray. This video below demonstrates what LuLu and Tuks are really looking for….open space. Thank You for the kind words, glad you enjoyed. Your photos are just fabulous. 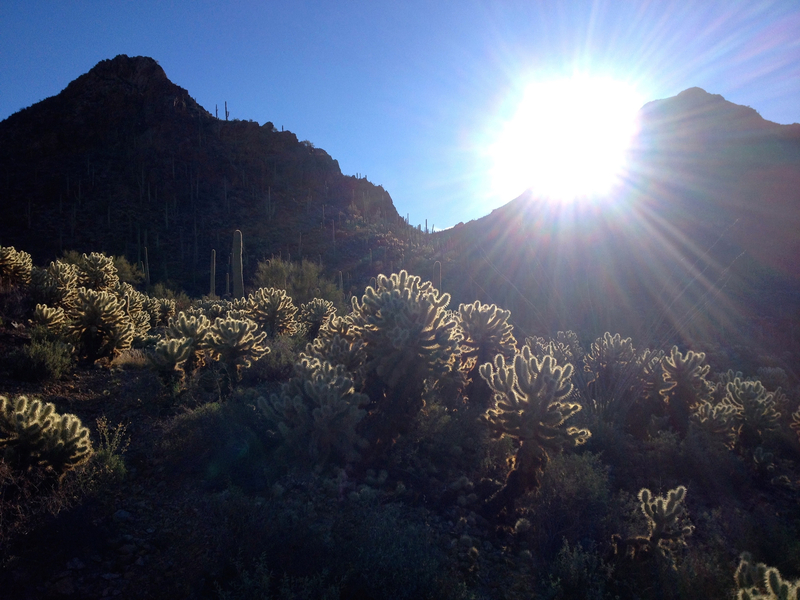 Having spent most of my years living in AZ, the desert has always felt like home. One time to Q was enough for us (2 years ago). We enjoyed our stay at Gilbert Ray also but experienced a rare and unusual SNOW storm while camped there. 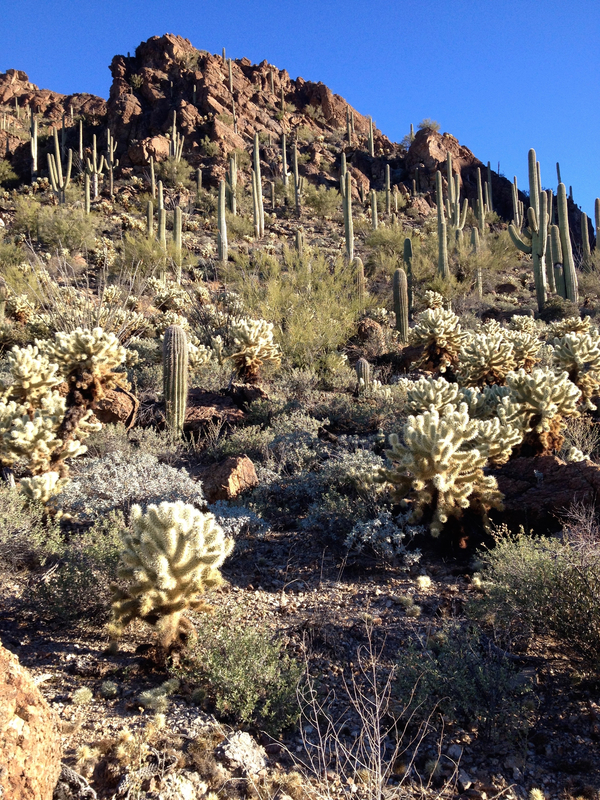 It was quite the sight to see the saguaros topped with snow and to see their ribs swell from the moisture. Look forward to hearing about where you’ll stay in the Yuma area. 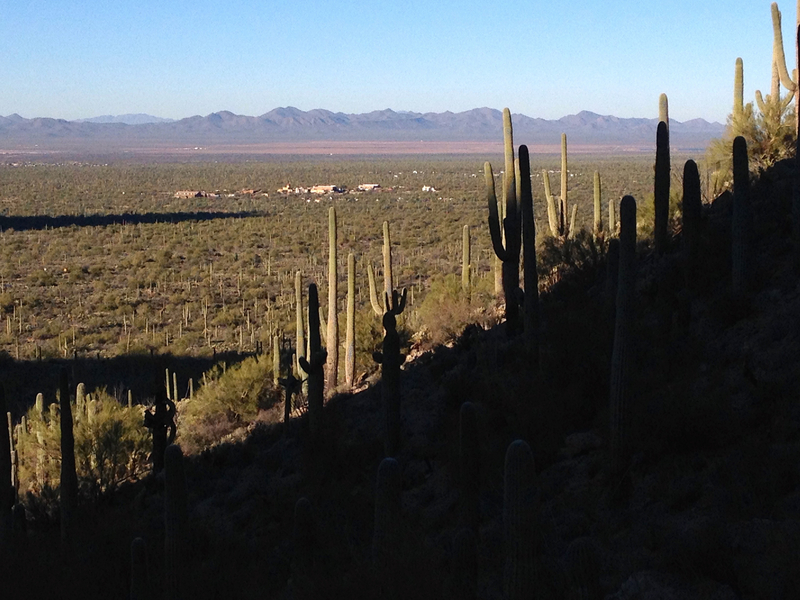 We’ll be meandering around southern AZ most of February. Wow snow on the cacti! must have made for some great photos. 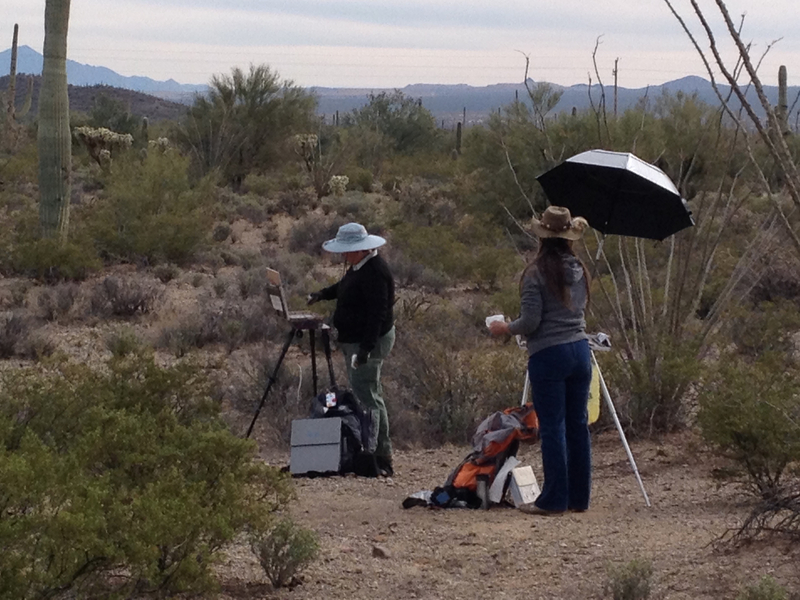 Currently we are just west of Yuma near the imperial dunes up against the Cargo Muchacho Mtns. lots of room to roam for the pups.